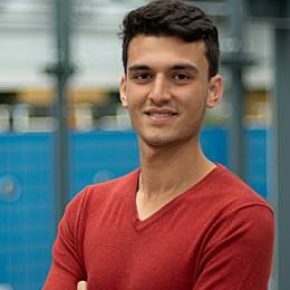 Mohamed Baioumy is a robotics honours student at Delft University of Technology. He is involved in multiple teaching and research activities for both robotics and mechanical engineering. Currently, Mohamed works as a teaching assistant for courses such as Statics, Mechanics of Materials, Dynamics and ThermoFluids. He also supervises student teams for robotics-related projects. In addition to teaching, he conducts research on topics like energy efficiency for robotic systems and safety systems for autonomous vehicles.